Many protest groups have come to Cleveland, Ohio, this week to hold protests at the Republican National Convention, which began Monday at the Quicken Loans Arena. 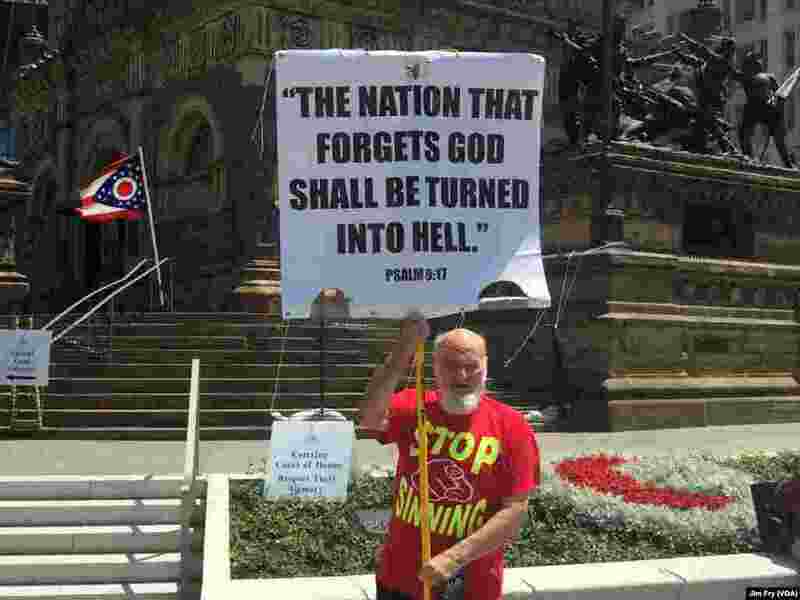 5 Willard Manning of West Monroe, Louisiana, calls himself "God's prophet," in the Public Square in downtown Cleveland, July 18, 2016. The Republican National Convention, being held a few blocks away in the Quicken Loans Arena, began Monday. 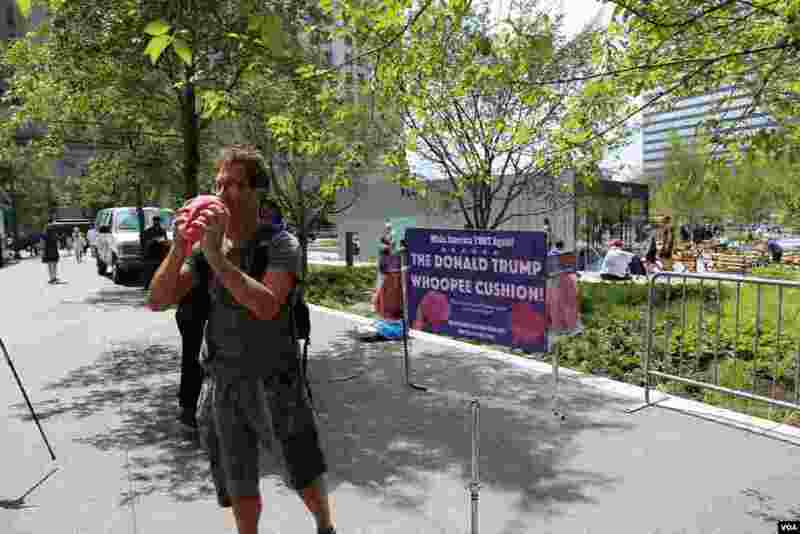 6 A man sells Donald Trump whoopie cushions in downtown Cleveland, where the Republican National Convention is being held, July 18, 2016.